Ya know, I’d be excited to play Sonic 2 Remastered, but if I can’t best it with actual controls there’s no way I can beat it with TOUCH SCREEN CONTROLS. The iCade works for the sonic games?!?! Why didn’t I know that?! I would usually be the first one to take a dump on touch screen controls (not counting the DS), but Sonic 1 on an Android tablet felt perfect. It was easy to control and overall felt nice. This shouldn’t be any different. aha ASRT on IOS still looks better than the 3DS port (what a terrible port). SEGA have gone mobile crazy!!! No doubt SASRT will make it to Android as well at some point. 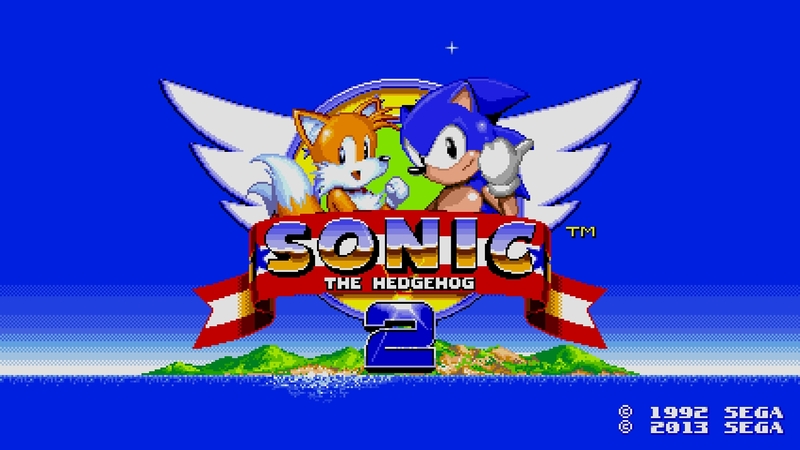 Sonic 2 will make a lovely early Christmas present. When’s an android version coming out ?! Why they don’t put these on home consoles I have no idea. I want to play a widescreen Sonic on a regular screen with buttons! Sonic CD was great on PS3. And it can’t be that difficult to port. Come on, SEGA! These games have their heritage on home consoles. You’ve put a lot of love into these remakes, put them where they will shine! If my problem was simply wanting to play these games I’d go to my Mega Drive as I have since I was seven. The issue is the quality of these versions. The versions on home consoles just now are plain ports, with no widescreen, remastered music or (perhaps most importantly) playable Knuckles. These are the reasons I want the new version on home consoles. I agree (and I play on a 34-35cm 4:3 CRT TV xD Although I think that I can use my laptop’s screen with VirtualDub for better quality)! As much as I’d be willing to buy these remakes, it’s the lack of console-support that prevents me from doing so. I wonder how S&ASRT’s soundtrack will be on mobile-phones – Sonic Unleashed had some rather interesting MIDIs, which MasterEmerald extracted. Just so long as Sega doesn’t end up stroking Sonic 2 as much as Nintendo’s stroking Mario 3, I’m fine with this. That is to say, I’d love to see Sonic 3 Complete given an official release. Eventually. Awesome, maybe they could try finally giving Sonic 3 some love next? Still no console version SEGA? What’s wrong with you guys!? well think god Sonic and all stars racing Transformed for i os for Ipad or I phone and I pod Touch didn’t copy Sonic and all Stars Racing Transformed 3DS been stupid! They could at least put 1 and 2, along with CD on the Wii U at least; make that the last part of the 3 Game deal. Either that, OR…we hope 3&K gets this same treatment, and then just release all 4 games on a disc for the 25th anniversary. WOOOOOOOOOO… AWESOME!! I’ve been looking for another excuse to play this… “Hidden extras and secrets” ,huh? BTW… any clue about the release date? Awesome! I’m just curious on what surprises this new version will bring. I think it’s obvious that Knuckles will appear, Tails will gain the ability to fly/swim, the elemental shields might reappear again as in Sonic 1 Remastered, and the debug will be expanded with some beta features. Really! I think the only new thing to include here are some cut zones, like Hidden Palace Zone, Cyber City Zone, and Winter Zone and perhaps a extended playthrough with these zones, Kinda like the Sonic 2 Long version hack. 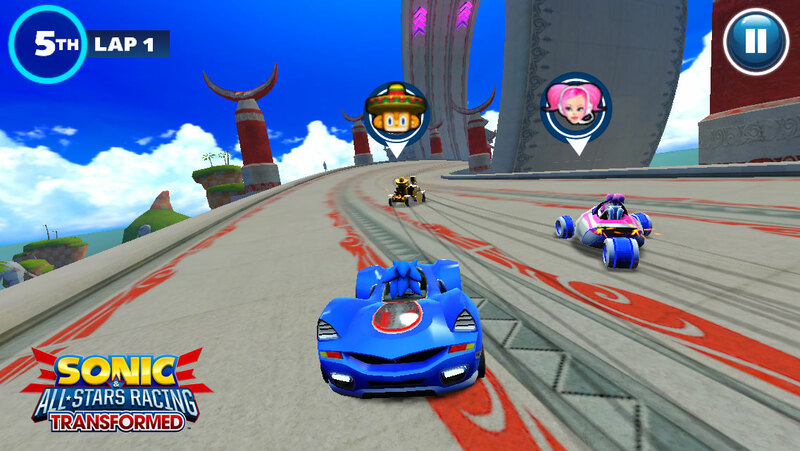 When did All-Stars Racing Transformed came out last year? I know it was around sometime November, but I want to know what date. I know, right? I for one am somewhat upset that no one seems to care to address this. What gives? I’m so annoyed. I’ve been checking for updates about this almost every day because I love the game so much and can’t wait for it. Christian Whitehead claimed it was a “ball park” date. Yes, which means it could have arrived any time in November. Winter appears to have been a more accurate “ball park” date.